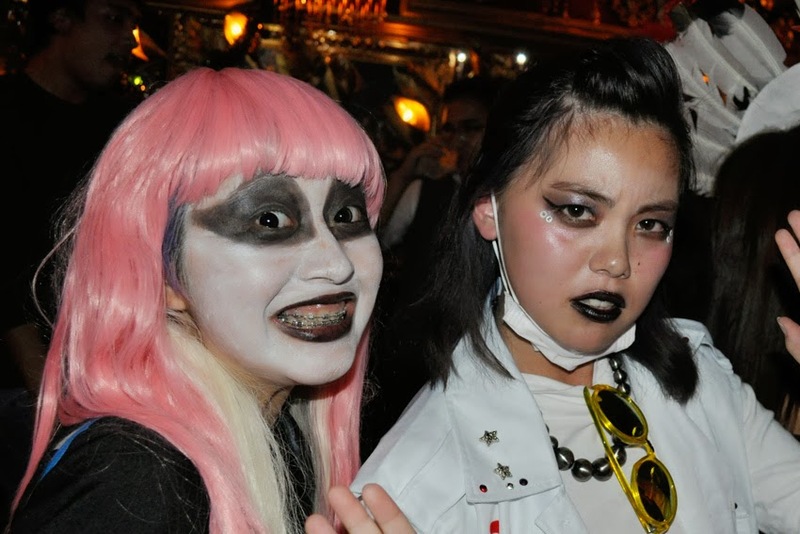 I love a good Halloween party and Tokyo sure knows how to throw the best parties. 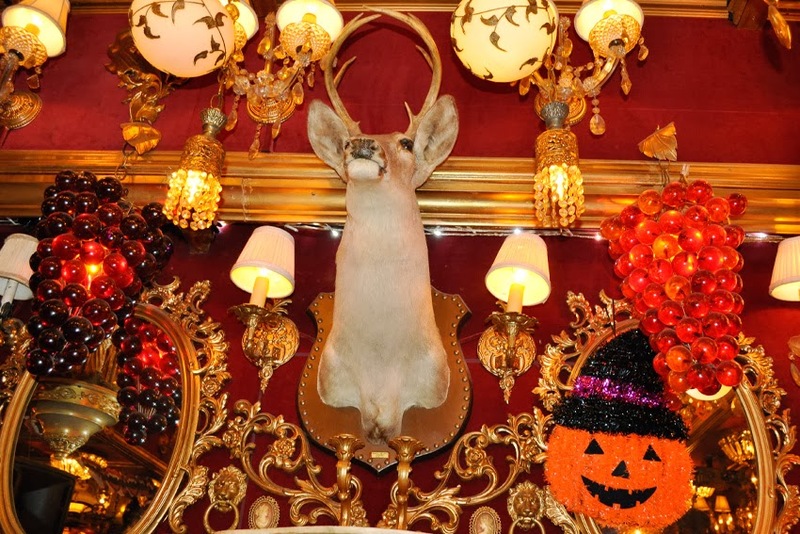 This Halloween I went to a party at my old favourite club in Tokyo - Trump Room. 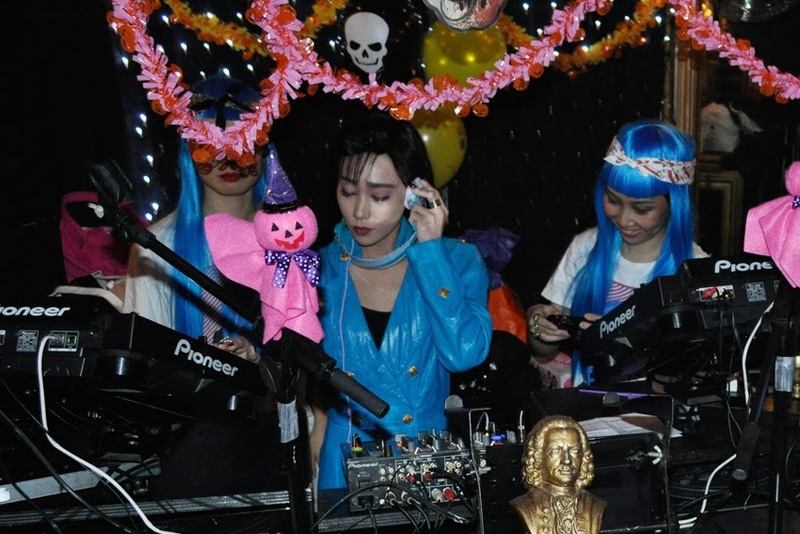 Mademoiselle Yulia dj'd (she also dj'd at my wedding back in the day) Here she is playing her new single Harajuku Wander which I LOVE!!! 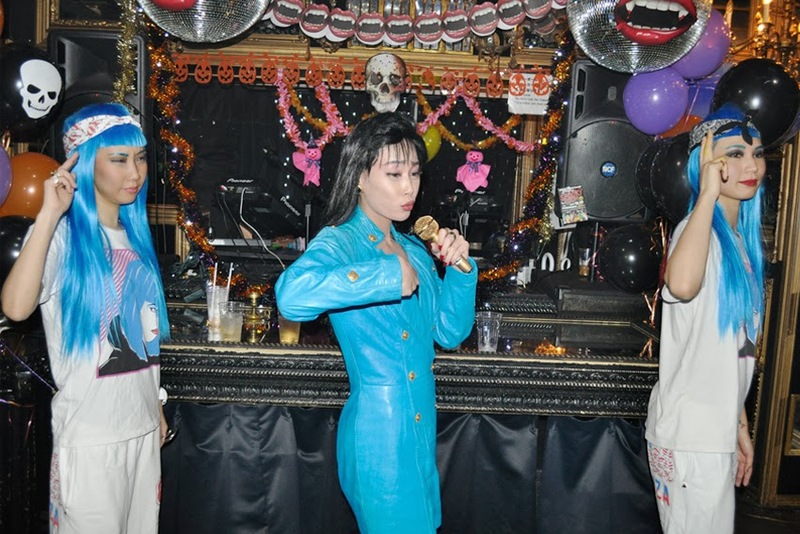 I almost didn't recognise her with he 1980s Japanese pop idol costume. This karaoke style performance was so funny, be sure to watch my video at the bottom of this post to see. 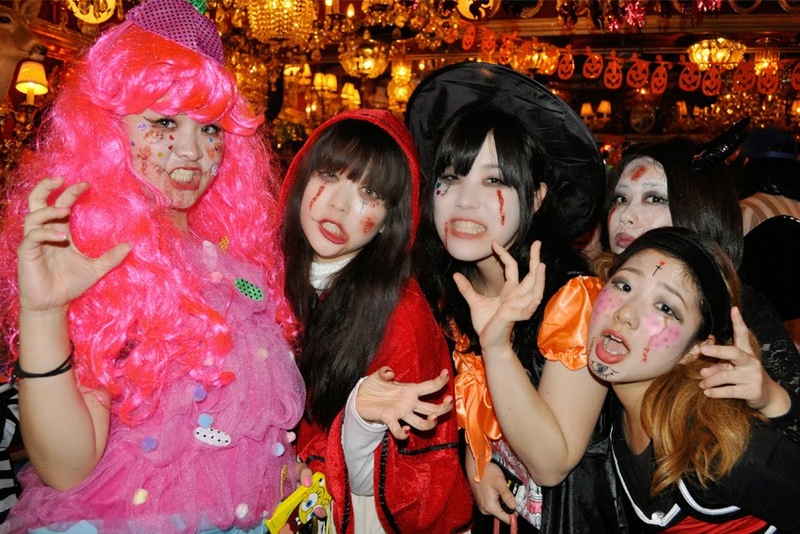 Tokyo girls really have the best Halloween costumes! Manan and Brandon as themselves but still cute. 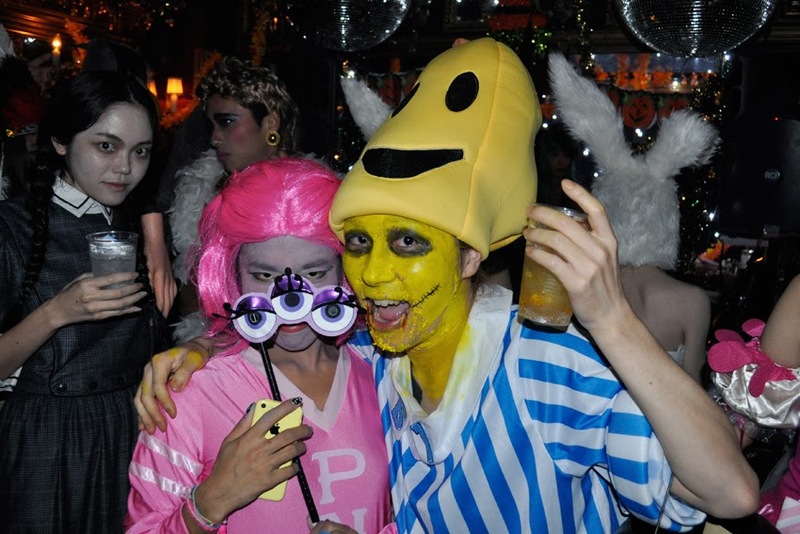 I was really excited to see someone dressed up as Bananas in Pyjamas, which is a popular Australian children's tv show. 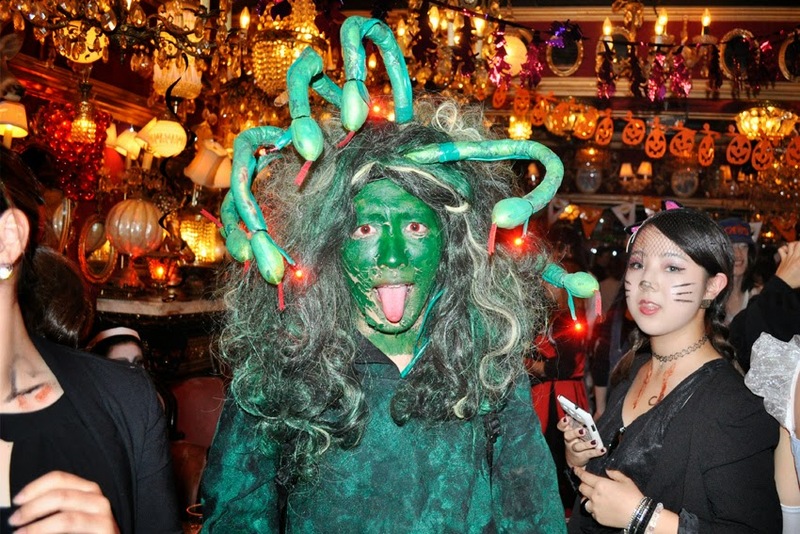 There were a lot of costume twins hey? 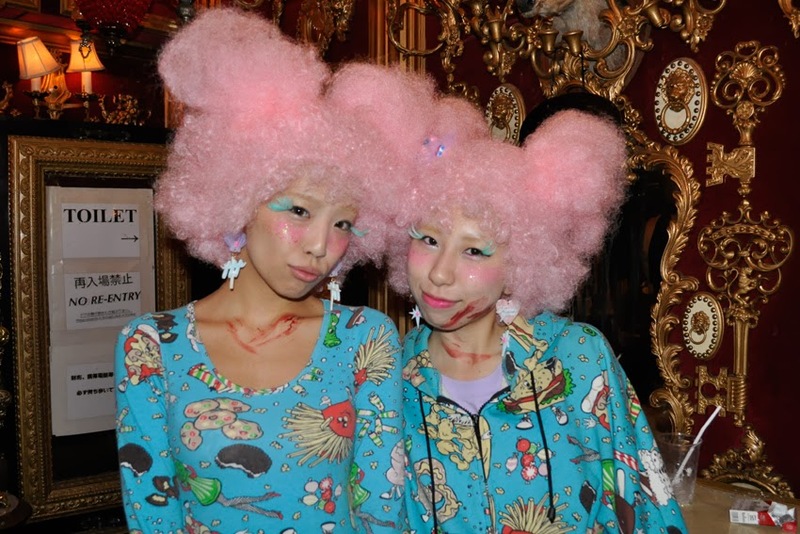 Mademoiselle Yulia and her Mademoiselle Yulia twin. 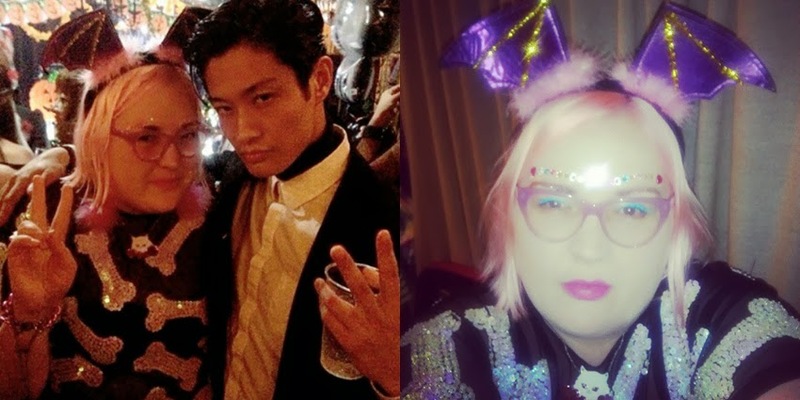 Somehow I only managed to get instagram shots of what I wore. I didn't have much time to come up with a costume so I just bought a sparkly and furry Halloween headband at the ¥100 store and teamed it with anime inspired face stickers that are actually intended to be stuck on your mobile phone case. I wore it with my DI$COUNT bones tee which I feel is pretty Halloween-y and that was it, pretty simple and no fuss but still fun. 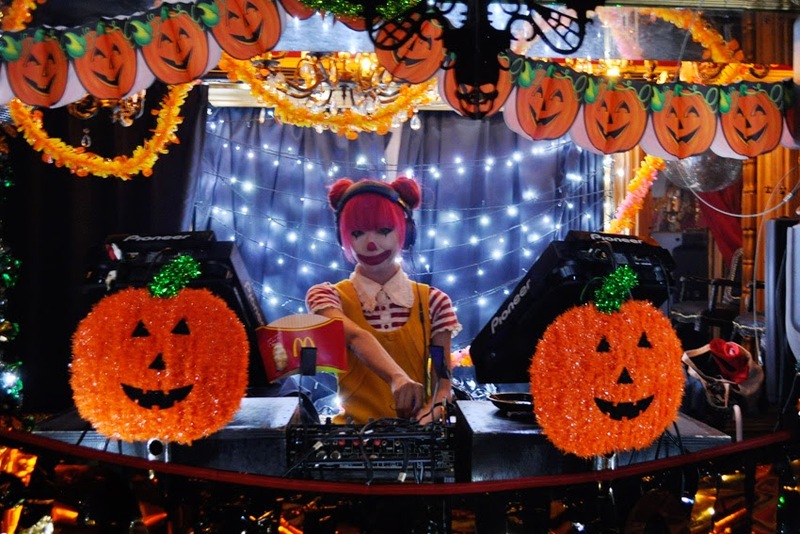 That maccas DJ is adorbs! Loving your Japan photos! 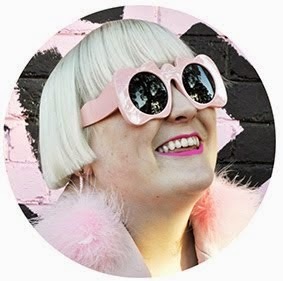 Loved this post and watching this video definitely cheered me up from my current cold -like state. I love Japan and I've always wanted to go and buy loads of anime stuff, eat noodles and shop in Tokyo, although I can't imagine they do my size in many places. Anyway, love these pictures, it's a shame you didn't get any proper photos of your outfit but from what I can see it looked cool. Oh man, looks like such a good party!! 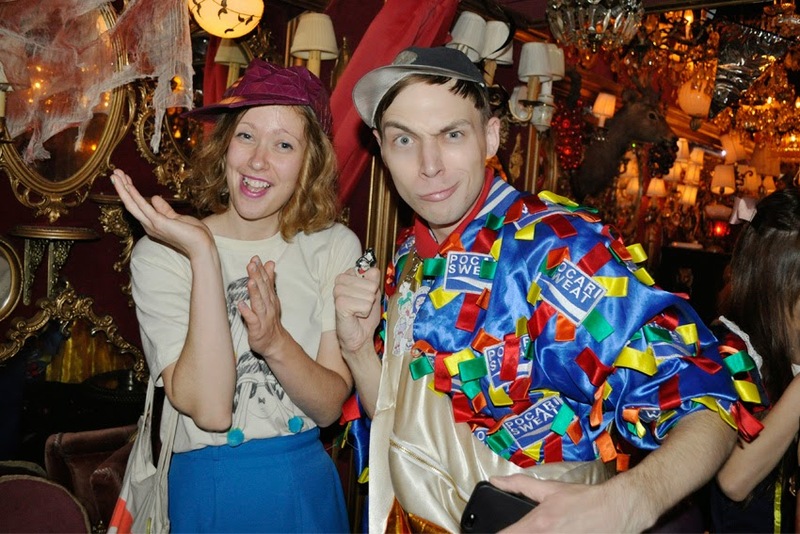 Loving the Wednesday Addams costume in the bananas in pajamas picture! That was such a fun night! I like having your around with a video camera!! Haha.